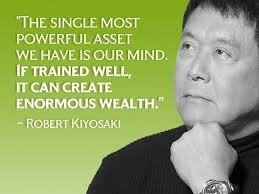 Wealth is first and foremost a mindset! Do not just think outside the box, think as if there was no box. Everything is possible, the universe is limitless. Make your life as simple as possible so you may make room for the creative plane. Wealth is an exchange of value. People will pay for anything that adds value to their lives. Figure out a way to articulate other people’s pain with better clarity than they would on their own, and provide solutions that address their pain. The customer defines what is valuable for him, your role is not to question it but to anticipate and solve it! Learn to live within your means and invest the difference. Then re-invest the proceeds of your initial investments until you hit critical mass! Leverage both your resources and other people’s resources (Time, Money, Energy, Networks). This is the era of collaboration. You cannot do it alone, reach out to people in your network and join forces together to bring your ideas to life! Know the phase you’re in, channel your resources into one idea at a time, you CANNOT afford to be all over the place, you have to FOCUS and take ACTION. The universe rewards those who take action, and in particular, those who do it really, really fast! Ideas are a dime a dozen, dreams are easy to conceive. The difference between the wealthy and those who are not, is that the wealthy wake up from their dreams and actually pursue their dreams with everything they’ve got. Are you committed to your ideas and dreams? Are you willing to spend your Time, Talents, Treasures, Money, Energy and even Reputation? How many NO’s will make you quit? Or will you keep going until your dreams are manifest into reality? Living a life of Wealth or Abundance means living in a zone where you see opportunity and learning in ALL situations and/or encounters. You are able to separate people from their behaviours and rather focus on providing solutions and adding value. Are you willing to change your self-talk and create new movies in your head? Are you ready to make the necessary sacrifices today, to create the tomorrow of your dreams? As you read this piece, ponder on the following: Time is a precious commodity. You cannot save or invest it, you can only SPEND it. Are you ready to start using your time wisely? See below for some principles that lead to creating and sustaining wealth. 1. Response-Ability: Begin to develop a sense of responsibility and integrity in all your actions. Be honest to all and most of all to yourself. Take a look at your present situation and reflect on the choices and decisions that have led you here. Do a sincere and thorough financial audit on yourself. Are you responsible with respect to paying your bills? Do you constantly spend over and beyond what you earn? Are you living a congruent life or are you living a lie? Are you living within your means and needs? Are you in balance or out of balance? What is your ability to respond to challenges? Be accountable for your actions and DECIDE to take control today! 2. Perception is Projection: You cannot become that which you despise. Examine your attitude towards successful/wealthy people around you. Are you open and humble enough to learn from them or do you resent them for their success? Every encounter we experience happens to teach us something valuable. Are you paying attention to the lessons life is constantly teaching you? It is not what you’re looking at that counts, rather, it is what you are CHOOSING to see. We see the world as a reflection of ourselves. Pay attention to that which irritates or excites you about others, perhaps they are there to draw your attention to what you need to improve upon, areas of your life you should pay attention to or even positive traits you already have and not yet manifesting. Everything is energy and all our emotions vibrate at particular frequencies. If it is NOT already in you, it will not resonate with you. Life is basically NEUTRAL, we create the positive or negative experiences, sometimes out of our own awareness. We have the power to respond. We choose the energy we give to things and people! 3. Cause vs Effect: Are you in a co-creative mind space where you take ownership for your life or are you still playing the victim card, blaming everyone else and everything outside of you as the reason for your situation. Do you look at life through ‘WOW ME’ lens or are you always looking through a perennial ‘WOE ME’ lens? Are you at cause for the results in your physical universe or stuck in vicious blame-shame-pain cycle? Become a self-leader and take control of your life. You cannot lead others or attract wealth if you fail to lead yourself! Own both your awesomeness and own your crap! Learn to do the difficult things that everyone else is not doing. To be at cause means you are not caught up in arguing for your excuses and limitations, rather you are committed and disciplined enough to focus on only solutions and results! 4. Respect: (Definition-A feeling of deep admiration for someone or something elicited by their abilities, qualities or achievements). Do you respect yourself and others? Do you respect your time, talents, skills, networks, energy? Do you treat things or people with the value they deserve? Respect is one of those rare values that is reciprocal. The attitude with which you relate to people and things (including money) will be reflected back at you! Money is an energy, it flows and grows where its seeds are sowed and nurtured. It does not respect pedigree, titles, degrees, gender, marital status, intellect or smarts….anyone who simply follows the universal principles of wealth and roots their mindset and action in these principles, will be rewarded with its fruits. 5. Patterns: Wealth and Abundance manifests in a series of patterns and synchronizations. Money in itself is not merely a tangible entity, rather it is a tool, a concept, a symbol of exchange. Are you paying attention to your patterns of ‘thoughts-words-action’ with respect to money, abundance and wealth? Begin to reflect on and study your money beliefs, habits, and manifestation patterns, until you pattern-interrupt what you are currently doing now, you will be stuck with the same results! Hire a professional money coach if you have to and install new strategies or values to achieve your dreams. 6. Change: Consider what your life would be like if you simply continued doing what you are doing now. Will this path lead you to a life of Abundance or of Poverty? Will you thrive or merely survive? Change of mindset is necessary in order to chart a new life of prosperity, wealth and abundance. There are many professionals and business owners who earn a decent income and yet are plagued by a ‘poverty mindset’ and so never attain true wealth. How willing are you to embrace change and do things differently so that you can progress through the silos of Wealth (Financial Stability to Financial Independence, and then to Financial Freedom?) Are you ready and disciplined enough to take the simple, not so easy, yet necessary steps that will enrich your life? A wealth mindset is hardwired for change. Your success is directly tied to your ability to anticipate, embrace and adapt to change.